We chased the the rainbow for miles, looking for the pot of gold at the end. We were just kids and believed in the silly tale. Trying to find the end of the rainbow wasn't easy but finally we found it! 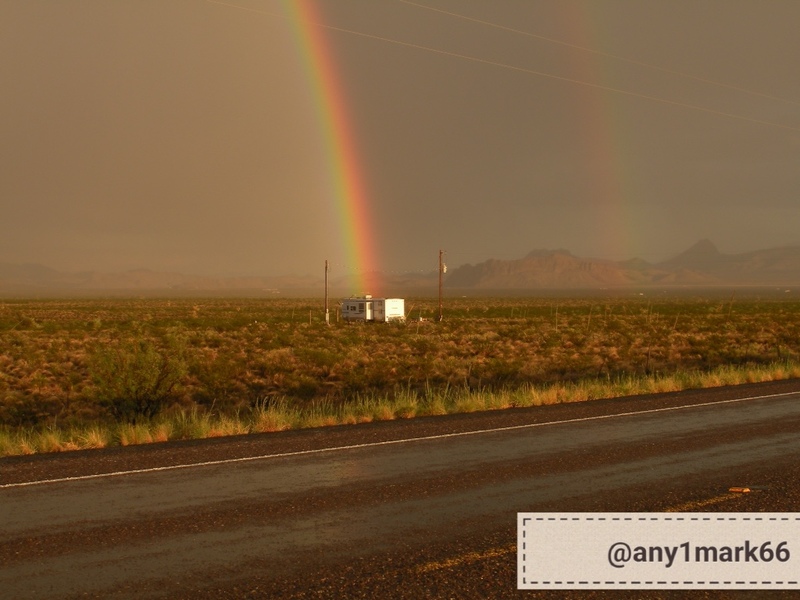 To our disappointment the pot of gold at the end was a little camp trailer. I was devastated! Randall and I had plans to spend all that money we would find at the end. Randall kissed me and dried the tears from my cheeks. “Let's go home.” I told him. We carefully walked up to the trailer and knocked on the door. The door slowly creaked open and an old lady stuck her head out the door. To my surprise she asked us if we were Randall and Bess. “I know a lot of things,” she smiled. Then handed us a check from my grandmother. My inheritance. Thank you @any1mark66 for our photo prompt this week! Thank you Mark! 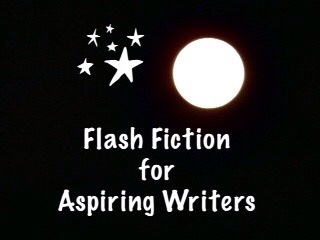 This is my 174 word story for the flash fiction challenge, Flash Fiction for Aspiring Writers. We are given a photo prompt that is kindly photographed by our participants and approximately 75-175 words with which to create our stories. It's fun and everyone is invited to participate. For more information, click HERE. Thank you Jodi! I knew I had to have a happy ending! LOL! There really was a treasure at the end of the rainbow. Yes, I had to have a happy ending! LOL! Thank you James, for reading. Yes, it is really good they did! The old woman, I wonder if she is a seer? Yay! There really was a pot ‘o gold at the rainbow’s end. It was just in the shape of a check. Glad it ended up well for Bess. Thanks! Yes, there really was a pot of gold at the end of the rainbow! LOL! Haha! She is a magician or a type of seer. No, not a lawyer – that would be too realistic. LOL! The old lady is a type of curandera with special powers. If you want to read a good book about a curandera, read, “Bless Me Ultima”! Good book! What a wonderful story! Great ending. See, the legends are right after all. Lovely story! So glad their dream came true in an unexpected way. You made the old saying come true here. Great read. Yes, the legend came true! LOL! Yes or they would have missed it all! I love that they were having fun together, and he was supportive, and that they got money!!!! Next time I am going to chase the rainbow for its pot of gold for sure! Loved that fairy tale kind happy ending PJ! Yes, you never know what is at it’s end! LOL! Thank you so much! Another great story! I love how you come up with these twists! They are usually unexpected endings and lovely! OH you are so sweet Lynn! Thank you so much! Wallie and I love your take on the “pot of gold”! In fact, I think Wallie prefers yours for the happy ending (the traitorous imp!). But it really is great to see all that chasing after rainbows isn’t for nothing! We both really enjoyed this. Yes! Otherwise I wouldn’t have a happy ending! LOL! I was rather worried when they knocked at the door; glad you picked a happy ending. LOL! Thank you so much Mike! I favor happy endings. Haha! I was worried it may be a Hansel and Gretel story but instead inheritance. It makes it quite magical because Grandma must have done a bit of planning for it to happen. Lovely story. Yes, in this case it was! Thank you so much Jacqueling!